By the 1890’s, Stanley Rule & Level Company had become an industrial juggernaut. 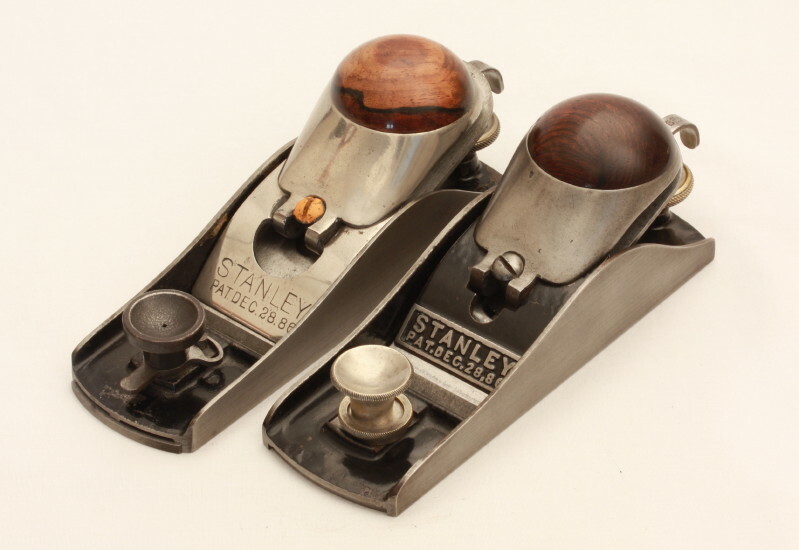 They proudly boasted in their pocket catalogs that they had sold 1.2million Bailey planes. Their 1895 pocket catalog boasted sales of 2.2 million Bailey planes. 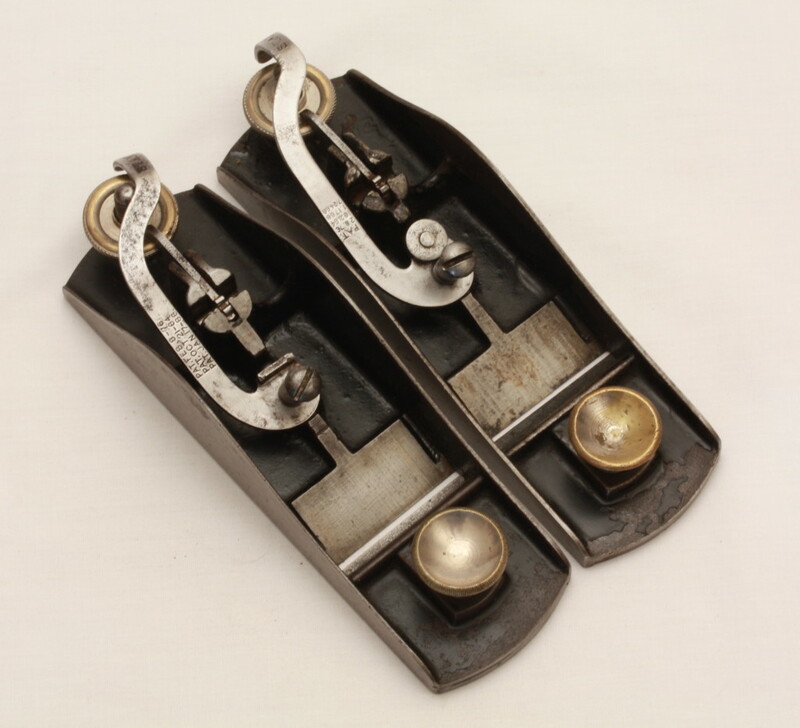 “The Rule & Level became by 1900 the largest maker of planes and related tools in the world. And despite the fact that the company did not yet make carpenter’s squares, it was also the largest U.S. maker of rules, levels, and similar implements for measuring, marking, and squaring in the building and allied trades.”¹ Stanley’s success lay in selling to the working carpenter or builder since the amateur market barely existed at that time. Stanley was adept at adding planes that they thought would appeal to this market. 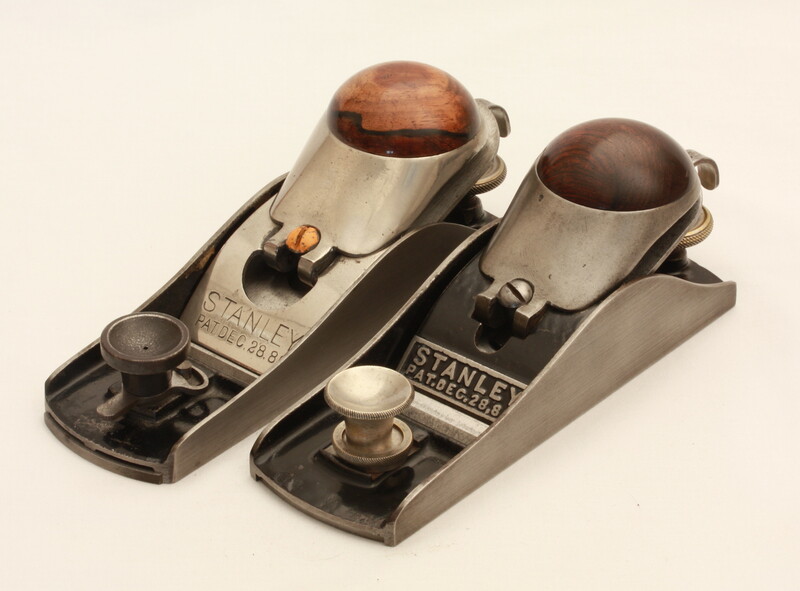 The decades from 1870-1900 saw the introduction of a wide variety of planes from Stanley designed to meet the needs and desires of their customers. Figure 2. Stanley Type 1 No. 18 and No. 19 Knuckle-Joint Lever Cap Block Planes. Figure 2 shows the Type 1 versions of the No. 18 and No. 19 block planes. Note that the date of Sargent’s patent is stamped on the lever cap. 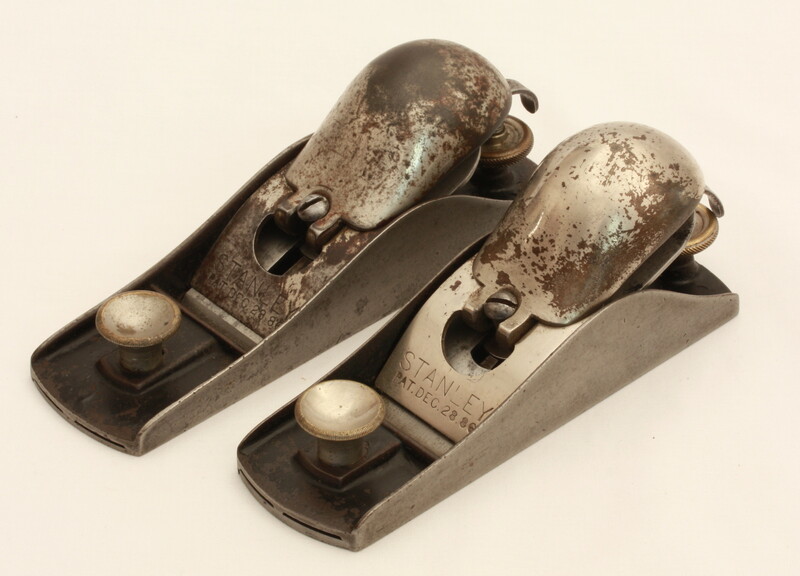 The Type 1 planes were only made for one year, 1888, and in 1889 were changed to incorporate a new style of lateral adjustment lever with a circular disk that replaced the earlier version of Traut’s lateral adjustment lever based on patent No. 306,877, issued on October 21, 1884. This new lateral adjuster (See Figure 3) had been patented by Traut on January 17, 1888 (Patent No. 376,455) and was utilized on these block planes starting in 1889. Figure 3. Two No. 18 Block Planes Showing the Type 1 Lateral Adjustment Lever on the Left and the Circular Disk Lateral Adjustment Lever on the Right. The earliest versions of the No. 18 and No. 19 block planes have a throat plate that controls the mouth opening but lacks a throat plate adjustment mechanism. 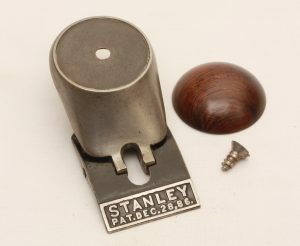 So what does this have to do with the Stanley Model Shop and rosewood buttons on knuckle-joint lever caps? Well Figure 4 shows two No. 18 sized block planes from the Stanley model Shop that demonstrate what was going on in the Model Shop during the summer of 1893. Figure 4. Two No. 18 Block Planes from the Stanley Model Shop with Unique Throat Plate Adjusters and Knuckle-Joint Lever Caps with Rosewood Buttons. Christian Bodmer and Justus Traut had begun experimenting with ways to adjust the mouth opening on block planes and had come up with more than one way to get the job done. In August of 1893, Traut and Bodmer applied for and were granted patent No. 515,063, on February 20, 1894 (see Figure 5). These planes appear to be working models demonstrating two of the methods for adjusting the mouth opening. The first plane shown in Figure 6 incorporates the mouth opening mechanism shown in Figures 5 and 6 in the patent drawing. It consists of a disk with a knurled edge that fits between the machined walls of the raised abutment on the front of the plane. A hole has been drilled off-center through this disk. Turning the disk with the off-center hole adjusts the size of the plane’s mouth opening and tightening the front knob locks the throat plate in place. The mechanism works very well but would have required a lot of very precise machining when manufacturing the planes (See Figures 7 & 8). But look at the beautiful knuckle-joint lever cap that Traut and Bodmer put on this plane! The bottom half is made of japanned cast iron and includes Sargent’s patent date for the lever cap. The upper half is polished and includes a beautiful rosewood button attached to the lever cap from the back by a wood screw. They obviously spent a lot of time on the lever cap and the result is a very visually appealing plane. 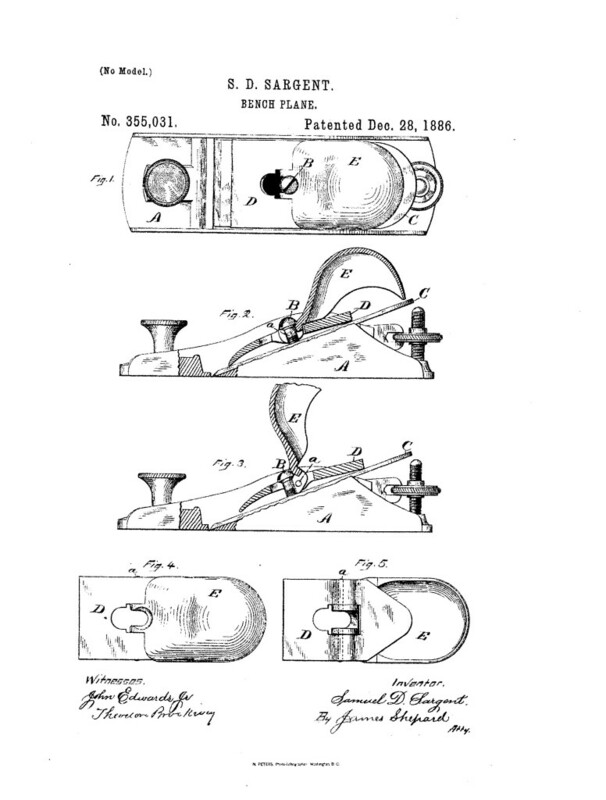 The second block plane has an adjustment mechanism that is a combination of the adjustment mechanisms shown in Figures 1,2,3,4, and 7 in the patent drawing (See Figure 11). On this plane a small upright pin is fixed in the cast abutment on the front of the plane. An eccentric loop with a small handle is placed over the pin and the threaded stud in the throat plate. By pivoting the small handle to the left or right the throat plate is moved either in or out thus controlling the mouth opening. Tightening the front knob holds the adjuster and throat plate in place (See Figure 12). 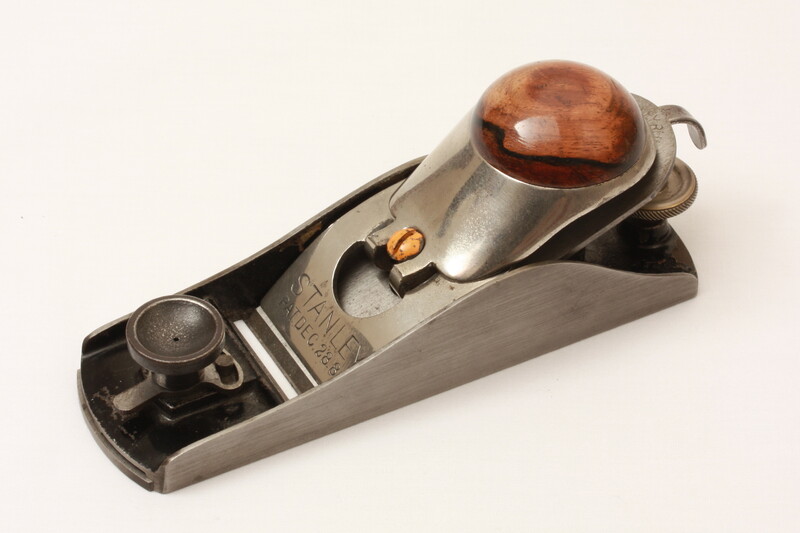 Bodmer and Taut also graced this plane with a beautiful lever cap. 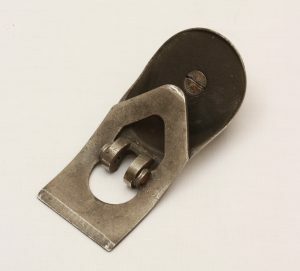 This lever cap is similar to those seen on the Type 1 No. 18 and No. 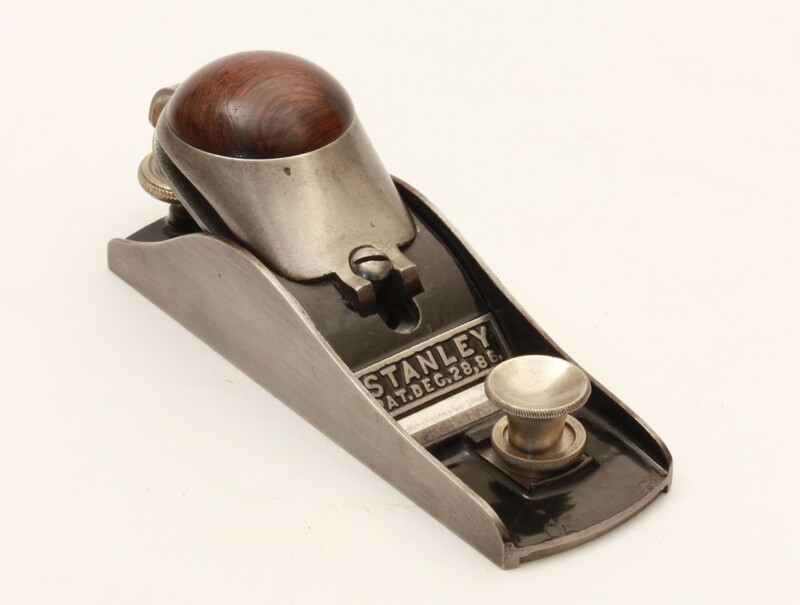 19 block planes in that it is nickel-plated and has Sargent’s patent date stamped on the lower portion. And like the previous plane this one also sports a beautiful rosewood button attached with a wood screw on the lever cap. There’s even a dab of orange paint on the lever cap screw. Surprisingly the front knob is not nickel-plated but the unfinished metal doesn’t detract from the overall appeal of the plane. Figure 14 Showing the Back of the Knuckle-Joint Lever Cap and the Screw Holding the Rosewood Button in Place. Both of these planes are a delight to the eye and feel really good in your hand. They would have been hard to resist had you seen them in your local hardware store back in 1894! I know I would have wanted to take them both home. But the fancy lever caps as well as the two throat plate adjusters would have made the planes very expensive to produce. So, the Stanley Production Committee turned them down and they were shelved in the Model Shop. 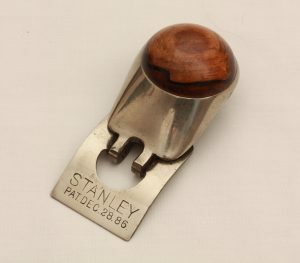 Stanley settled on a variation of the throat plate adjuster that is shown in Figure 15. Bodmer and Traut’s patent date was stamped on the adjuster until it was eliminated from these adjusters in 1908. It’s a simple eccentric lever that was easier to manufacture and required only the drilling of a small hole in the cast abutment on the toe of the plane. 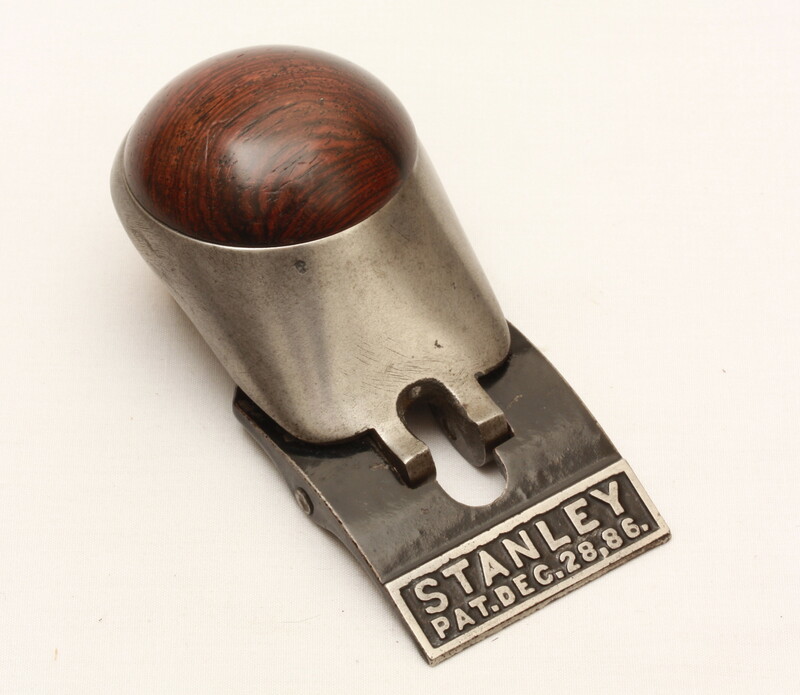 Stanley added this version of the throat adjuster to their line of block planes starting in 1894. Figure 15. 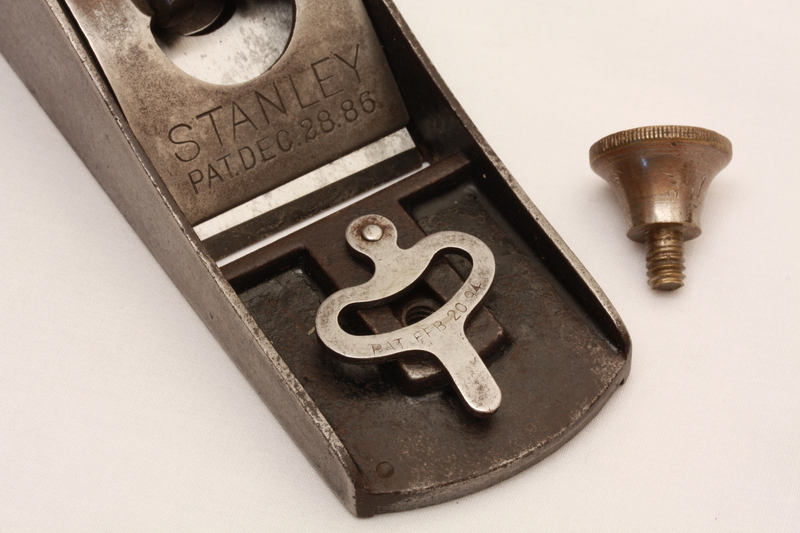 Eccentric Throat Plate adjustment Mechanism Based on Traut and Bodmer’s Patent that was Ultimately Used on Stanley’s Block Planes. Note Patent Date Stamped on the Adjustment Lever. In my next post we’ll look at two more block planes from the Model Shop showing different way rosewood was incorporated into the knuckle-joint lever cap. For more information on Christian Bodmer and his many patents take a look at the excellent nine part series on Christian Bodmer by Walter Jacob in The Chronicle starting with Volume 66, No. 2, June 2012, and ending with Volume 68, No. 2, June 2015. Leavitt, Robert Keith, A History of The Stanley Works, p. 58. This small book is a compilation of articles of the history of Stanley that were first published in Stanley’s in-house newspaper Stanley World. These articles appeared in the paper between 1951 and 1956. 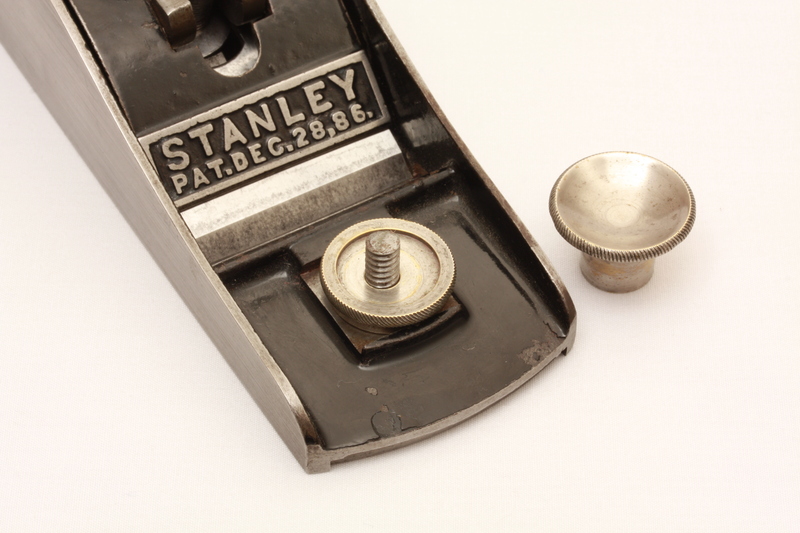 By 1900 Stanley was starting to export tools to Canada, Europe, and South America. There were about 63 million people in the U.S. comprising 12,960,000 households according to the 1890 U.S. census. 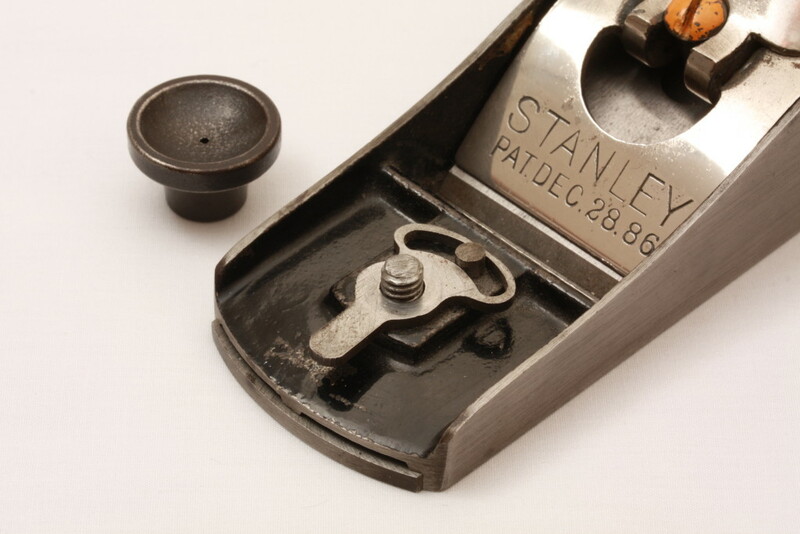 That means with sales of 2.2 million planes that a Stanley plane was in 17% of U.s. households in 1890. That doesn’t include rules, squares or bevels. This was remarkable market penetration for what was at the time still a relatively small company. 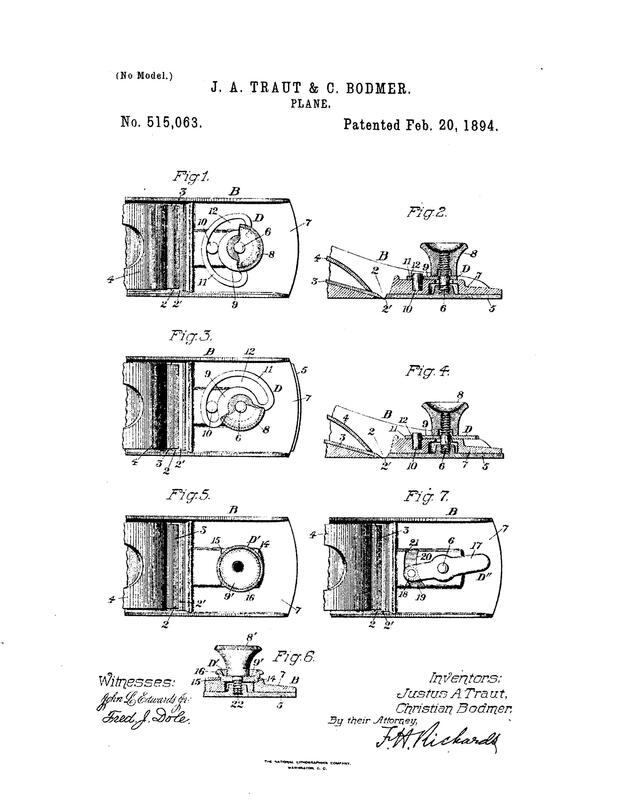 Samuel D. Sargent assigned his patent to Stanley and obtained several other patents for improvements to tools. The 1888 Stanley full line catalog entitled “Improved Labor Saving Carpenter’s Tools Manufactured by the Stanley Rule and Level Company, New Britain, Conn.” illustrates the new lever cap on page 36. 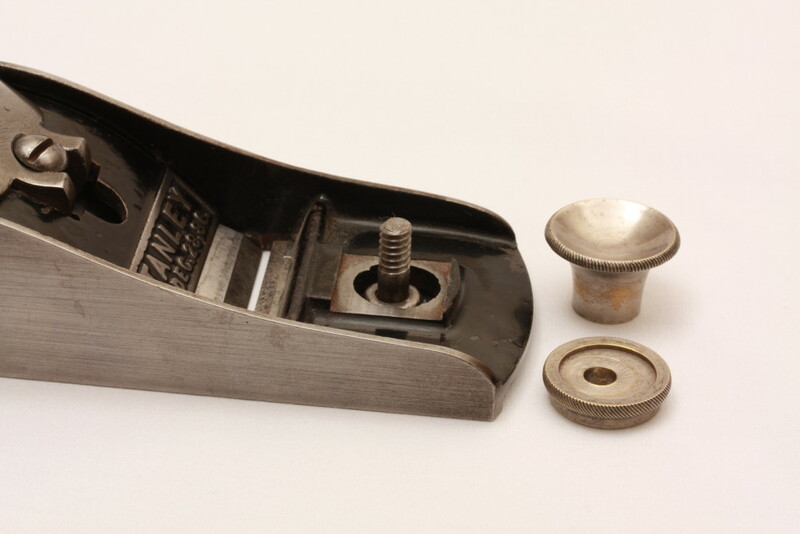 Beneath the illustration it states, “The knuckle-joint in the cap to this plane constitutes it a lever also; and the single movement of putting the cap in position, will clamp the cutter firmly in its seat.” The No. 18 cost $1.75 and the No. 19 cost $1.85 in 1888. The No. 18 and the No. 19 were also illustrated in the 1888 pocket catalog. An excellent type study of the No. 18 and No. 19 block planes was done several years ago by Jack Scheollhamer and Bob Kaune. It is available in Antique and Collectible Stanley Tools Guide to Identity and Value, by John Walter, Second Edition, published in 1996, pp. 702-710. The knuckle-joint lever cap was used on the No. 18, 018, 18¼, 19, 019, 65, A18, ans S18 block planes. As a wannabe Craftsman, I’m in the process of learning how to make full use of my limited hand tools, although I’ve used them in a most rudimentary way. With planes, I’m still struggling to learn nomenclature, and this article with it’s photos, diagrams and easy-to-follow text certainly helped. The history, to which I’d previously given no thought, is enlightening and, to me, interesting.